Short Business Description: Guardian Angel Celebrity & Elite life Services encompasses all life’s needs. Going beyond just life coaching, healing or guidance, we take a joined up approach to improve every aspect of your life. We also tackle every angle from the spiritual to the psychological, emotional & physical needs. Life carries on beyond 9-5 and so does Guardian Angel on hand for you at your side. In times of need where everyone else cannot be of service to aid you in your hour of need Guardian Angel is here for you. Guardian Angel Celebrity & Elite life Services encompasses all life’s needs. Going beyond just life coaching, healing or guidance, we take a joined up approach to improve every aspect of your life. We also tackle every angle from the spiritual to the psychological, emotional & physical needs. Life carries on beyond 9-5 and so does Guardian Angel on hand for you at your side. In times of need where everyone else cannot be of service to aid you in your hour of need Guardian Angel is here for you. Book your 40-60 minute complimentary life-diagnostic and healing session today and discover how Guardian Angel can become your..
– Elite Life-Coach for discovering hidden knowledge, awareness & techniques that Elites use. – Luxury Companion & Concierge to directly assist you in handling and accessing people, society and hidden opportunities and to ensure your needs are taken care of. – Shamanic Healer for the Spiritual & Physical including removal of most common illnesses, addictions & depressions with no pills or herbs required. – Personal Crisis Response Service should the worst ever happen and you need urgent help. Guardian Angel will be on standby fo you. Discount for members: Block Bookings of Hours & Complimentary sessions – Please Enquire. 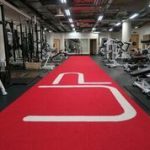 Short Business Description: Ultimate Performance are highly regarded as the worlds leading personal trainers and body transformation specialists. 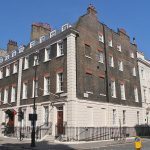 From our established location in Mayfair we transform the lives and body’s of local businessmen, women and residents. We have two locations in London, one in Manchester, three in Asia and are expanding into L.A, Dubai and Tokyo this year. We would love to work with and develop closer relationships with local business and be an active part of the community. In each of our locations we specialise in in one on one personal training and body transformations. We offer small group training and online personal training. We work closely with a number of international businesses advising them on how to create and maintain a productive, fit and healthy workforce.